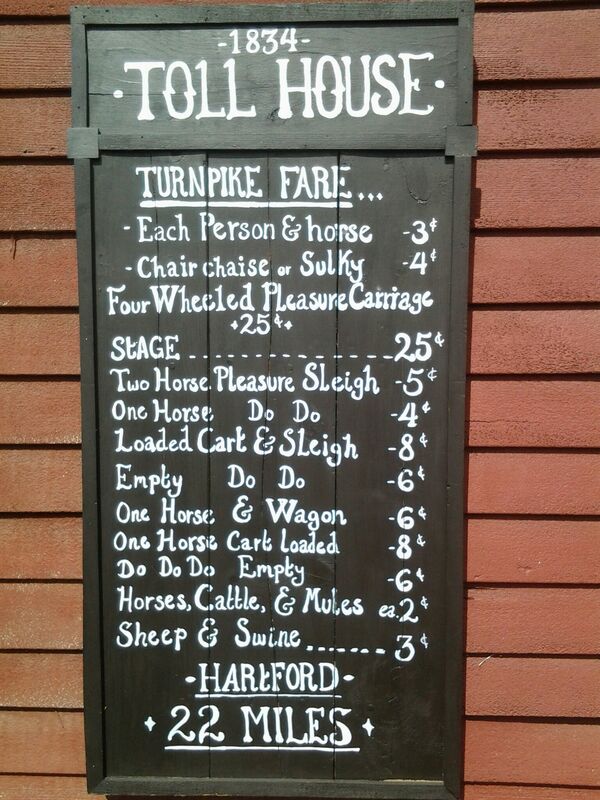 The Toll House was built in the early 1800s. 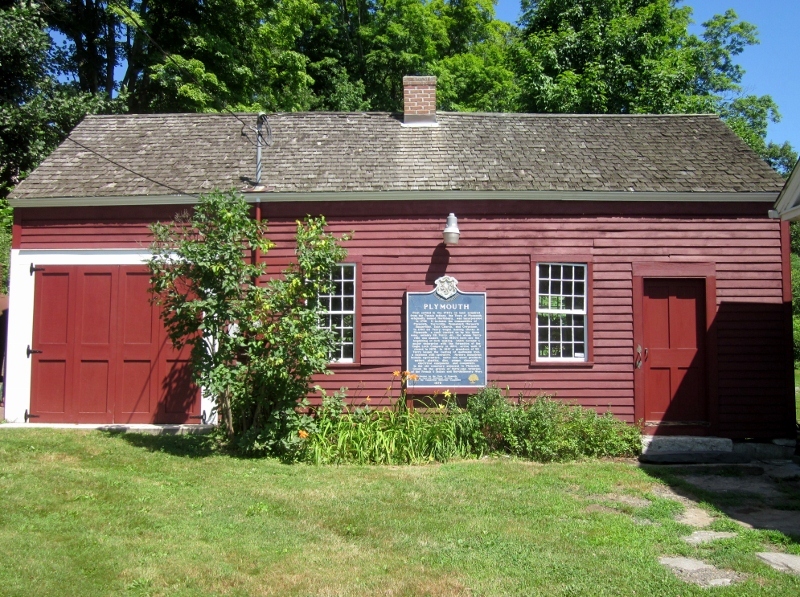 It was the home of the tollkeeper who collected taxes (tolls) from travelers on the Hartford Turnpike, a major route between Litchfield and Hartford. 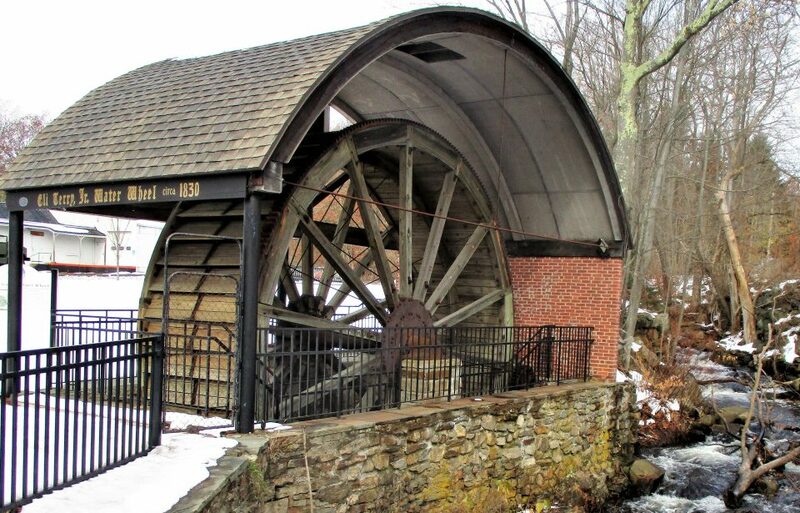 Today it houses the 1852 Woodruff and Beach steam engine that powered the Shelton & Tuttle Carriage factory in Plymouth. 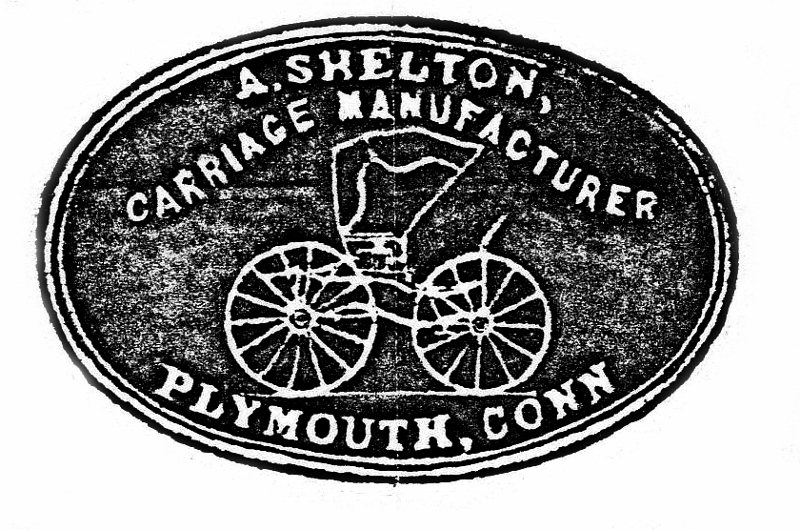 The logos of the Shelton Tuttle Carriage Company. 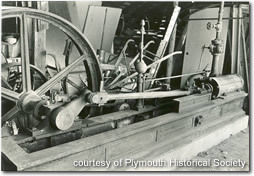 Carriages manufactured in Plymouth were shipped throughout the United States in the mid-1800s. 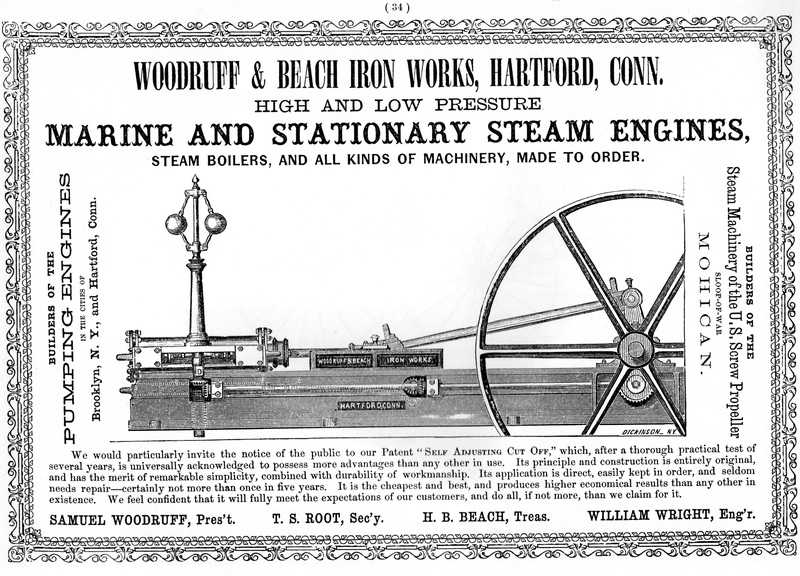 1852 Woodruff and Beach steam engine that powered the Shelton Tuttle Carriage Factory in the mid-1800s. 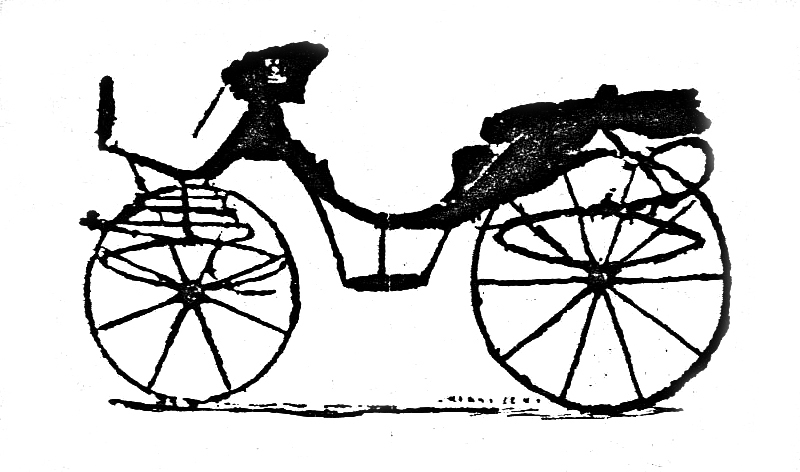 in the Toll House Museum. 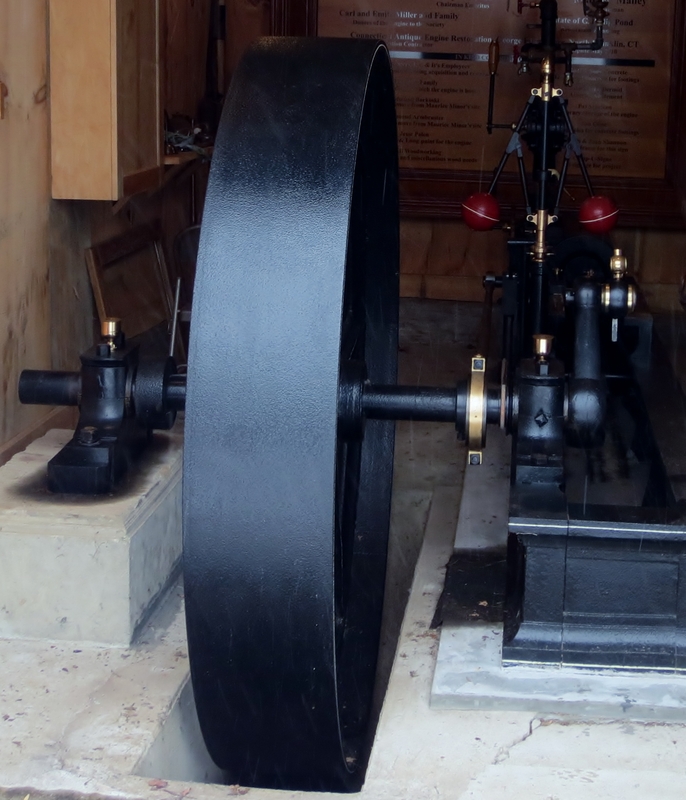 Maurice Minor used the steam engine at his sawmill on Minor Road. 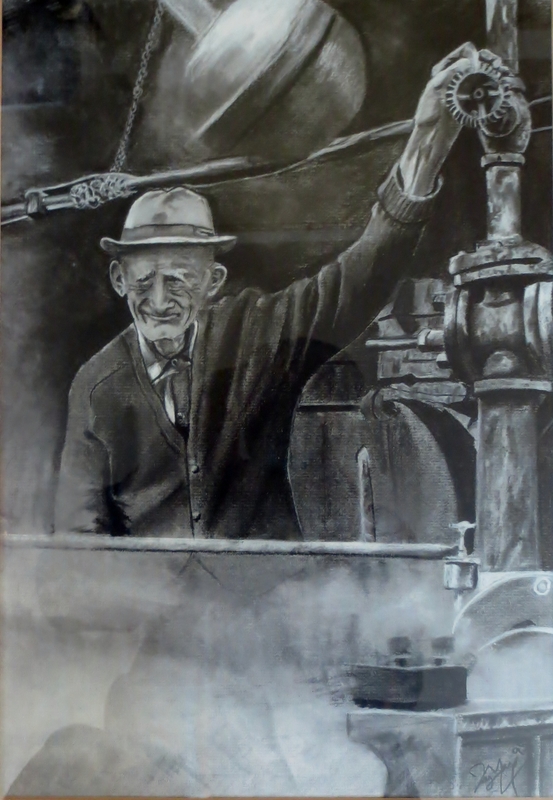 Charcoal drawing circa 1980. 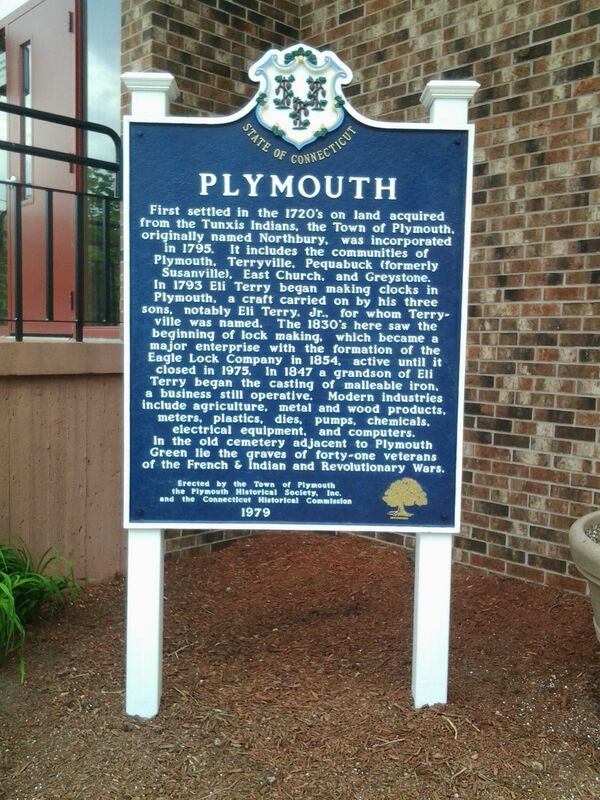 Visitors to the Toll House Museum may notice that the blue “Plymouth History” sign that used to be on the front of the building is no longer there. It has been refurbished and moved to a more prominent location in front of the Plymouth Town Hall where more people can see it.